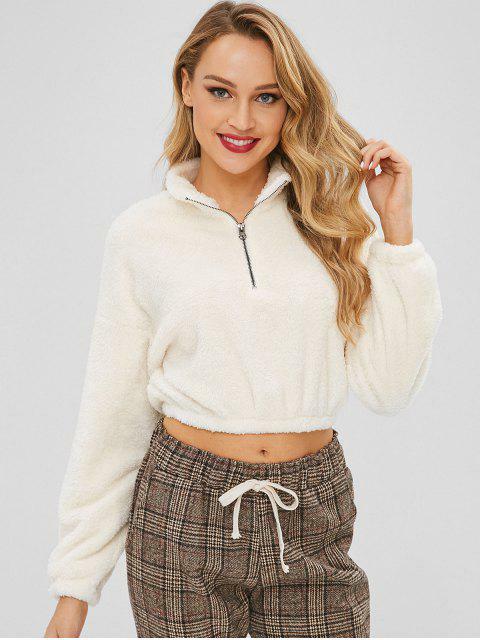 [24% OFF] 2019 Zipped Cropped Fleece Pullover Sweatshirt In MILK WHITE | ZAFUL .. Very cute. Really warm and cosy. Little bit short but with high waisted trousers it's cool!